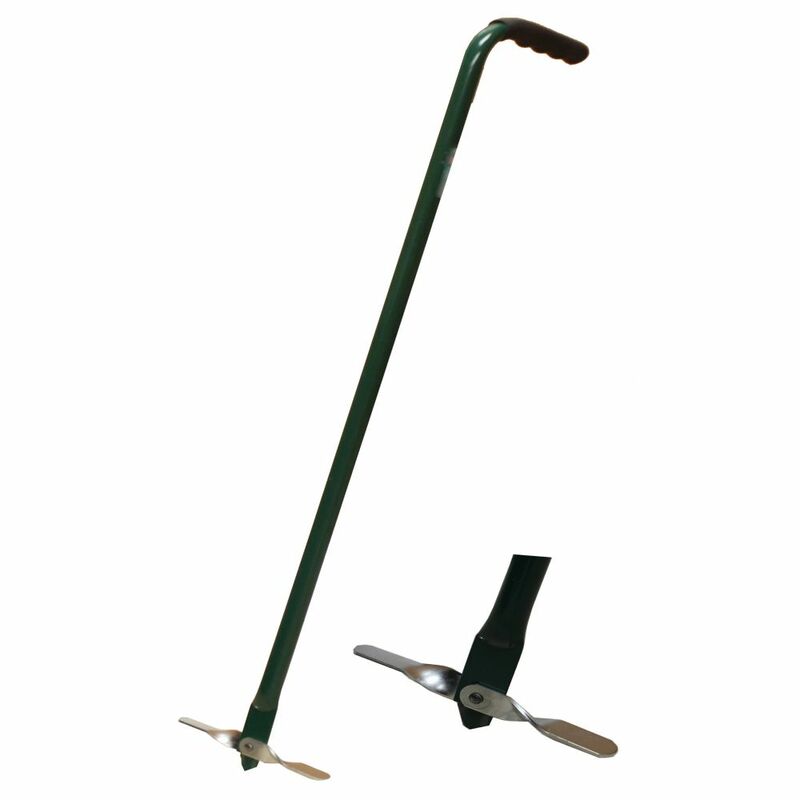 FreeGarden FORK Compost Turner is rated 3.3 out of 5 by 13. Rated 2 out of 5 by Composter70 from Compost is too dense to have this be effective. ... Compost is too dense to have this be effective. Will not go down to the bottom of the bin. Would be great if all you had were a few leaves. Once the stuff in the bin starts composting it will not penetrate the pile. The theory is wonderful. Just wish it would work as stated. Rated 4 out of 5 by HomeDepotCustomer from Pretty much what I expected and sturdy. I wish Home... Pretty much what I expected and sturdy. I wish Home Depot also sold the spiral hook kind. Rated 1 out of 5 by Stafford from Won't constantly open on exit. ... Won't constantly open on exit. Rated 1 out of 5 by Rasec44 from This is a piece of junk! The description says clearly its made out of Metal, but its made out of ... This is a piece of junk! The description says clearly its made out of Metal, but its made out of aluminum. Its bends when you used it for the first time. Then its no good the aluminum is too soft and can't do the job it was meant for. Why do you have to lie Home Depot? Just to sell junk that will not work. Rated 4 out of 5 by HutLo from Smooth top stove In the past month we have been enjoying this stove - flat top, expandable elements, quick heating oven. A great improvement over our old one! Glad we bought it. Rated 5 out of 5 by JamesW from Works great Simple, sturdy design that works great. Definitely recommend.